Our Shading and Exploring Facebook group is celebrating it's 100th challenge! 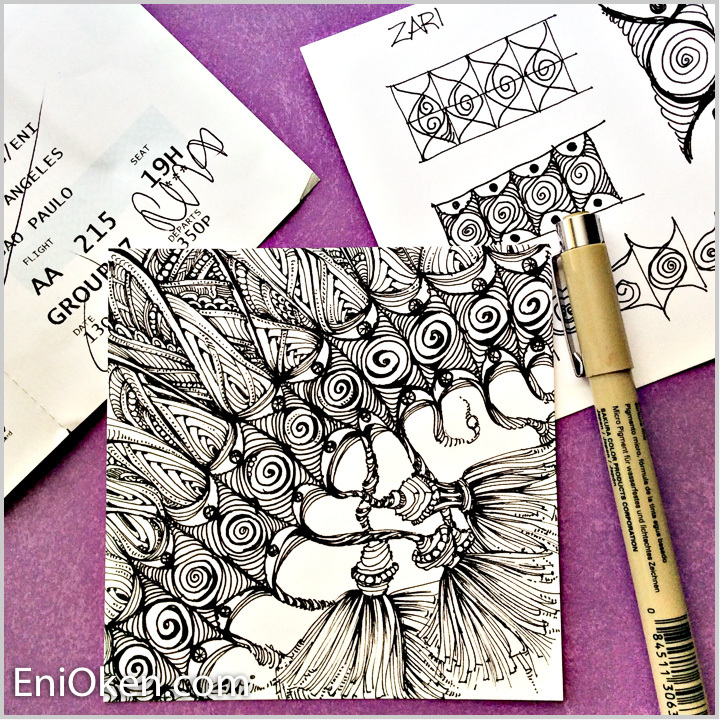 The focus tangle of the week is Zari, a tangle deconstructed by Veena Arun here. I continue to work with black and white, still using a strong diagonal like the previous one using Palrevo. I used an F and 2B pencil for shading. I really like how the Zari tangle turned out so 3D and organic, and also the details on the top portion with Narwal and Betweed.